We recommend checking out our discussion threads on the IRIS IRIScan Mouse Executive 2 Portable Scanner 458075, which address similar problems with connecting and setting up Portable Scanners . The user manual for the IRIS IRIScan Mouse Executive 2 Portable Scanner 458075 provides necessary instructions for the proper use of the product Photography - Scanners - Portable Scanners. 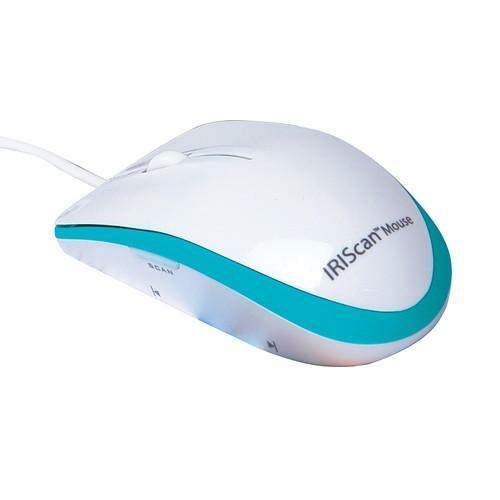 The IRIScan Mouse Executive 2 Portable Scanner from IRIS is a mouse and scanner in one portable unit. When not scanning, it works as a normal laser mouse with a 1,200 dpi sensor, but with Slam Scan technology you can quickly scan documents at 300 dpi by just moving the mouse over the page. It will work with documents up to A3 size or 11.7 x 16.5". The mouse part of this device is fully-featured with left-, right-, and wheel-click options and a scroll wheel. There is also a dedicated scan button for getting started whenever you need something. The Mouse Executive 2 also has embedded optical character recognition technology for over 130 languages, making it easy to bring the text into Word, Pages, and other applications. Additionally, it will scan QR codes and provide an instant redirect to the content on your computer. The scanner is compatible with both Windows and Mac computers and will work directly with many common programs. The files can also be saved in a wide range of file formats, including a searchable PDF. It comes with a transport bag, cleaning swab, software CD-ROM, and special ScanPad as well as a 30-day trial to IRISCompressor Pro. Box Dimensions (LxWxH) 8.0 x 6.0 x 2.5"
The user manual for the IRIS IRIScan Mouse Executive 2 Portable Scanner 458075 can be downloaded in .pdf format if it did not come with your new portable scanners, although the seller is required to supply one. It is also quite common that customers throw out the user manual with the box, or put the CD away somewhere and then can’t find it. That’s why we and other users keep a unique electronic library for portable scannerss, where you can use our link to download the user manual for the IRIS IRIScan Mouse Executive 2 Portable Scanner 458075. The user manual lists all of the functions of the IRIS IRIScan Mouse Executive 2 Portable Scanner 458075, all the basic and advanced features and tells you how to use the portable scanners. The manual also provides troubleshooting for common problems. Even greater detail is provided by the service manual, which is not typically shipped with the product, but which can often be downloaded from service. If you want to help expand our database, you can upload a link to this website to download a user manual or service manual, ideally in .pdf format. These pages are created by you – users of the IRIS IRIScan Mouse Executive 2 Portable Scanner 458075. User manuals are also available on the website under Photography - Scanners - Portable Scanners.